"Rev. Dengler and the members of the congregation lay the foundation stone of the church in Paraperi." [English: Rev. Dengler and the members of the congregation lay the foundation stone of the church in Paraperi.]" "[original caption] Miss. Dengler u. Gemeindemitglieder bei der Grundsteinlegung der Kirche in Parapperi." Title: "Rev. Dengler and the members of the congregation lay the foundation stone of the church in Paraperi." Dengler, Gotthilf (Mr) , “Rev. 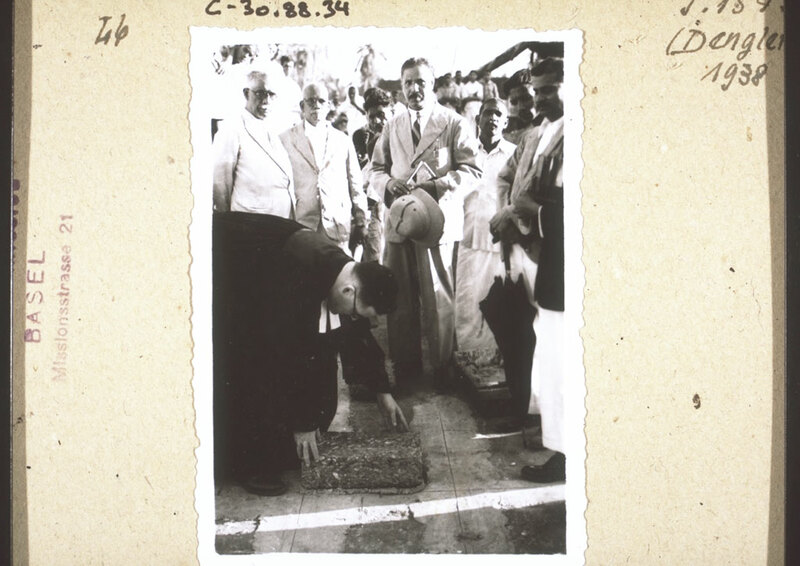 Dengler and the members of the congregation lay the foundation stone of the church in Paraperi.,” BMArchives, accessed April 19, 2019, http://www.bmarchives.org/items/show/55675.